We love the people and community of Canmore (not to mention the incredible views of Three Sisters and Ha Ling). Canmore is an amazing mountain town and we're proud to be a part of it. We work hard to curate the best collection of snowboard, skate and lifestyle gear and we make sure our Canmore store is stocked for your shopping needs. Where to find us? You'll find us right on Main Street in the heart of downtown Canmore. UNLTD in Canmore is full of the latest fashion and clothing for both men and ladies. Our Canmore store focuses on clothing, outerwear and skateboarding. Our clothing brands include Burton, Volcom, Element, CAMP and many more. We carry the latest clothing, outerwear, shoes, goggles, skateboards and more in Canmore. 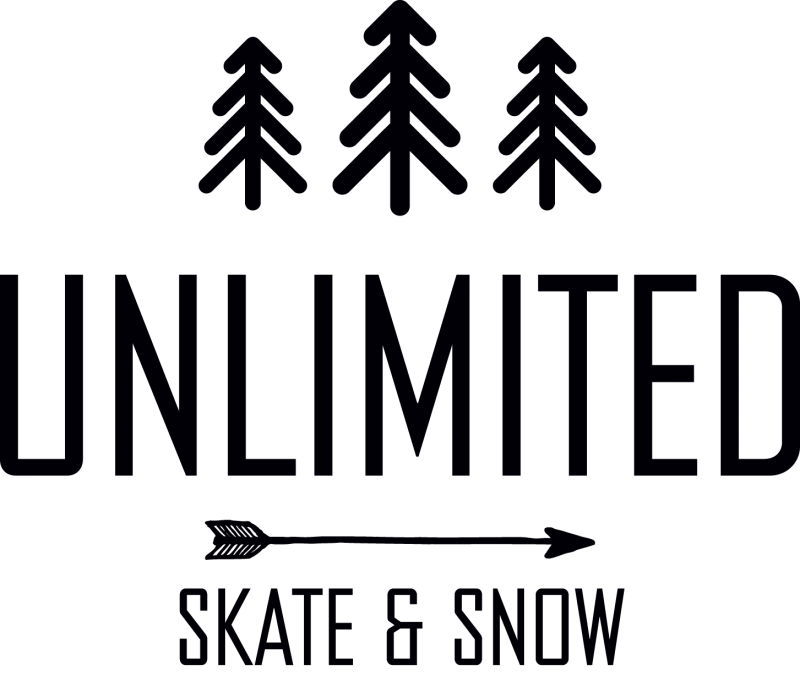 Winter or summer - we've got your skating needs covered at UNLTD in Canmore. New decks, trucks, wheels, longboards, as well as shoes and clothes. We've got everything you need and our team can help set you up. Come by and pick-up an awesome shop deck or whatever else you need before heading out to the skatepark. Our Canmore store has an entire section dedicated to the ladies. We bring in the latest clothes from big brands like Burton, Volcom and Element but also carry some unique brands and pieces you're sure to love. We carry everything from swimsuits to hoodies in our Canmore shop. We've also got a great selection of Vans and shoes too. We take pride in what we sell in our stores and carefully hand select items for our store every season. Our Canmore location is stocked with the latest styles, clothes and outerwear for men. We can help you find the perfect base layer, winter jacket, new flannel and everything else in between.